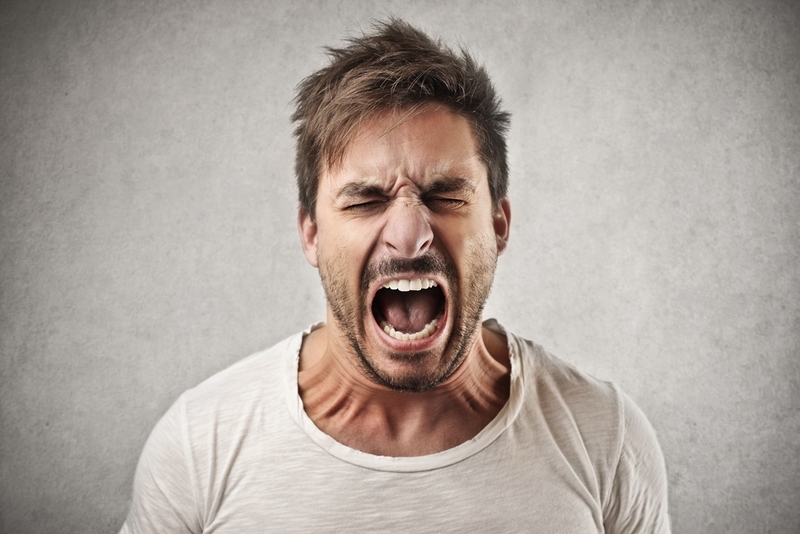 Anger is an emotional state that varies in intensity from mild irritation to intense rage, and like other emotions, it is accompanied by physiological changes; when you get angry, your heart rate and blood pressure go up, as do the levels of your energy hormones, adrenaline, and noradrenaline. Anger can be caused by both external and internal events. You could be angry at a specific person (such as a co-worker or supervisor) or an event (a traffic jam, a cancelled flight), or your anger could be caused by worrying or brooding about your personal problems. Memories of traumatic or enraging events can also trigger angry feelings. The instinctive, natural way to express anger is to respond aggressively. Anger is a natural, adaptive response to threats; it inspires powerful, often aggressive, feelings and behaviours, which allow us to fight and to defend ourselves when we are attacked. A certain amount of anger, therefore, is necessary to our survival. On the other hand, we can’t physically lash out at every person or object that irritates or annoys us; laws, societal norms, and common sense place limits on how far our anger can take us. People use a variety of both conscious and unconscious processes to deal with their angry feelings. The three main approaches are ‘expressing’, ‘suppressing’, and ‘calming’. Expressing your angry feelings in an assertive—not aggressive—manner is the healthiest way to express anger. To do this, you have to learn how to make clear what your needs are, and how to get them met, without hurting others. Being assertive doesn’t mean being pushy or demanding; it means being respectful of yourself and others. Anger can be suppressed, and then converted or redirected. This happens when you hold in your anger, stop thinking about it, and focus on something positive. The aim is to inhibit or suppress your anger and convert it into more constructive behaviour. The danger in this type of response is that if it isn’t allowed outward expression, your anger can turn inward—on yourself. Anger turned inward may cause hypertension, high blood pressure, or depression. Unexpressed anger can create other problems. It can lead to pathological expressions of anger, such as passive-aggressive behaviour (getting back at people indirectly, without telling them why, rather than confronting them head-on) or a personality that seems perpetually cynical and hostile. People who are constantly putting others down, criticizing everything, and making cynical comments haven’t learned how to constructively express their anger. Not surprisingly, they aren’t likely to have many successful relationships. Finally, you can calm down inside. This means not just controlling your outward behaviour, but also controlling your internal responses, taking steps to lower your heart rate, calm yourself down, and let the feelings subside. The goal of anger management is to reduce both your emotional feelings and the physiological arousal that anger causes. While you cannot get rid of, or avoid, the things or the people that enrage you, nor can you change them, you can learn to control your reactions. Simple relaxation tools, such as deep breathing and relaxing imagery, can help calm down angry feelings. There are books and courses that can teach you relaxation techniques, and once you learn the techniques, you can call upon them in any situation. If you are involved in a relationship where both partners are hot-tempered, it might be a good idea for both of you to learn these techniques. Be careful of words like “never” or “always” when talking about yourself or someone else. “This !&*%@ machine never works,” or “you’re always forgetting things” are not just inaccurate, they also serve to make you feel that your anger is justified and that there’s no way to solve the problem. They also alienate and humiliate people who might otherwise be willing to work with you on a solution. Remind yourself that getting angry is not going to fix anything, and that it won’t make you feel better (and may actually make you feel worse). Sometimes, our anger and frustration are caused by very real and inescapable problems in our lives. Not all anger is misplaced, and often it is a healthy, natural response to these difficulties. There is also often the belief that every problem has a solution, and it adds to our frustration to find out that this isn’t always the case. The best attitude to bring to such a situation, then, is not to focus on finding the solution, but rather on how you handle and face the problem. Make a plan, and check your progress along the way. Resolve to give it your best, but also not to punish yourself if an answer doesn’t come right away. If you can approach it with your best intentions and efforts and make a serious attempt to face it head-on, you will be less likely to lose patience and fall into all-or-nothing thinking, even if the problem does not get solved right away. Angry people tend to jump to—and act on—conclusions, some of which can be very inaccurate. The first thing to do if you’re in a heated discussion is slow down and think through your responses. Don’t say the first thing that comes into your head, but slow down and think carefully about what you want to say. At the same time, listen carefully to what the other person is saying and take your time before answering. Listen, too, to what is underlying the anger. For instance, you like a certain amount of freedom and personal space, and your “significant other” wants more connection and closeness. If he or she starts complaining about your activities, don’t retaliate by painting your partner as a jailer, a warden, or an albatross around your neck. It’s natural to get defensive when you’re criticized, but don’t fight back. Instead, listen to what’s underlying the words: the message that this person might feel neglected and unloved. It may take a lot of patient questioning on your part, and it may require some breathing space, but don’t let your anger—or a partner’s—let a discussion spin out of control. Keeping your cool can keep the situation from becoming a disastrous one. “Silly humour” can help defuse rage in a number of ways. For one thing, it can help you get a more balanced perspective. When you get angry and call someone a name or refer to them in some imaginative phrase, stop and picture what that word would literally look like. If you’re at work and you think of a co-worker as a “dirtbag” or a “single-cell life form,” for example, picture a large bag full of dirt (or an amoeba) sitting at your colleague’s desk, talking on the phone, going to meetings. Do this whenever a name comes into your head about another person. If you can, draw a picture of what the actual thing might look like. This will take a lot of the edge off your fury; and humour can always be relied on to help unknot a tense situation. If you and your spouse tend to fight when you discuss things at night—perhaps you’re tired, or distracted, or maybe it’s just habit — try changing the times when you talk about important matters so these talks don’t turn into arguments. If your child’s chaotic room makes you furious every time you walk by it, shut the door. Don’t make yourself look at what infuriates you. Don’t say, “well, my child should clean up the room so I won’t have to be angry!” That’s not the point. The point is to keep yourself calm. If your daily commute through traffic leaves you in a state of rage and frustration, give yourself a project — learn or map out a different route, one that’s less congested or more scenic. Or find another alternative, such as a bus or commuter train. If you feel that your anger is really out of control, if it is having an impact on your relationships and on important parts of your life, you might consider counselling to learn how to handle it better. A Psychologist or other registered mental health professional can work with you in developing a range of techniques for changing your thinking and your behaviour. Remember, you can’t eliminate anger—and it wouldn’t be a good idea if you could. In spite of all your efforts, things will happen that will cause you anger; and sometimes it will be justifiable anger. Life will be filled with frustration, pain, loss, and the unpredictable actions of others. You can’t change that; but you can change the way you let such events affect you. Controlling your angry responses can keep them from making you even more unhappy in the long run. Alternatively send a booking request.